Todd Gurley (left) and J.T. Barrett (right) headline two of the nation's biggest storylines. 1. Which team has the most to prove in Week 1? ♦ I'll go with a team that's probably obvious: Ohio State. The Buckeyes have a major unknown at the quarterback position, with Braxton Miller undergoing season-ending surgery on his throwing shoulder. In comes redshirt freshman J.T. Barrett, who, by all accounts, has a lot of potential, but leading a team that's eyeing a spot in the College Football Playoff, that's a lot to place in the hands of an inexperienced signal caller. I'm interested to see how much Urban Meyer simplifies the playbook. Barrett is the prototypical quarterback Meyer wants running out of the shotgun -- quick, explosive, a dual threat -- so it will be interesting to see just how trusting Meyer is with the youngster in the early going. ♦ Georgia, hands-down. Mark Richt and the Bulldogs -- again -- are highly touted. It's time for these guys to finish the drill. Obviously UGa. isn't as highly ranked as some years previous, but these guys need to beat a lower-ranked Clemson team, between the hedges, get off to a good start and maintain momentum for the long run. Only three times in the past 10 years has Georgia improved on its preseason ranking in the final poll. Three times the Bulldogs have been ranked in the preseason poll and failed to make the final rankings. The SEC East is there for the taking; yes, Georgia goes to South Carolina but the only other conference road games are Mizzou, Arkansas and Kentucky. ♦ The defending champs have a tough early test against Oklahoma State. Hey, that comes with the territory, but the Cowboys are not the type of team you can fall asleep on. The Noles are the No. 1-ranked team in the country and there is a chance that their long fall from grace can come this early in the season. Any FSU loss would expose the lack of depth the ACC has as a conference, every game they play this season will come with a tremendous amount of pressure and a week one match up with a Big 12 sleeper might just catch the Noles by surprise. Duane Cross: C'mon, Stephen -- you've got to cut Ohio State some slack. Losing Miller has to lower the expectations of the Buckeyes. Ditto the ongoing issue at Notre Dame. It's the teams that are going into the season fully stocked that have the pressure on them. Stephen Sellner: I'll cut them some slack, but look at that schedule, Duane. What games -- outside of at Michigan State -- are going to really give them trouble? I want to see what kind of magic Meyer can strike with Barrett at the helm. Gerard Gilberto: Nobody is that highly a touted a program because of just one player. I agree the pressure to perform is very much on the Buckeyes. Stephen Sellner: They're still likely to be in the Big Ten title picture come late November. Duane Cross: No question FSU will have the bull's-eye on its back this season. Thing is, there's enough leadership to get through those early season games -- most likely unscathed. Jameis Winston is one of the elite QBs; the offense is boo-scary. Florida State may just out-point everyone en route to a playoff berth. 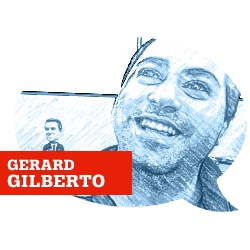 Gerard Gilberto: As they should, because outside of Clemson they do not really have a true test inside their conference, but maybe someone from the Big 12 can take down Goliath. Florida State will have a target on its back all season long. Stephen Sellner: I'll give you Georgia, as they've come so close to finishing the deal of late -- 2012, anyone? It's time for Richt and Co. to solidify the program and take down the likes of Bama and Auburn. Duane Cross: I do believe Ohio State has a la-de-dah schedule -- and that's why there shouldn't be that much pressure on the Buckeyes. Aside from Michigan State -- and I'll toss in Michigan -- the most pressure on Ohio State is buckling a chinstrap. ... But the loss of Miller certainly hurts the Buckeyes' chances for being elite. Stephen Sellner: A pattycake schedule is a huge benefit for OSU, so if Barrett and the offense develop some rhythm and find their groove, it's possible Michigan State could slip up and leave an opening for the Buckeyes. But that won't happen if OSU can't take care of business on its own in the meantime. Gerard Gilberto: Say what you want about their schedule going forward, but Ohio State faces a very difficult Navy team in Week 1. I think if there's a top-ten team that really has a chance at getting taken out this week, its Ohio State. And this is as much of a Navy compliment as it is a knock on OSU. 2. Which ranked team should be on upset watch this week? Duane Cross: I don't think there's a snowball's chance for an unranked team to upset a top-25 team in Week 1. Zero. Nada. Zilch. It's Week 1 for a reason; even the "marquee" kickoff classics are more for show this year. (No one's fault, just the way it happened.) That said, if there's a game to keep an eye on it's most likely OK State-Florida State, simply because it's the potentially-head-in-the-clouds defending national champions on the road at a joint that's not the easiest to play in. The Trojans could be on upset alert this week. Stephen Sellner: I'll go with Fresno State against USC, although I'm not saying the Bulldogs should be favored. Right now, the Trojans sit at No. 15, which probably has a lot to do with the momentum built in the latter part of the year under interim coach Ed Orgeron. Now it's up to Steve Sarkisian to lead the ship. Now I know Fresno lost a lot, especially with quarterback Derek Carr suiting up for the Raiders in the NFL, but if the Bulldogs can get production out of both their quarterbacks -- Brian Burrell and Brandon Connette -- they could shock some people and upset the Trojans. Stephen Sellner: That's why it's an upset, Gerard. Plus, there's some possible distractions surrounding the USC program with Josh Shaw's story. Duane Cross: I think USC will be fine for opening day -- with or without Josh Shaw. The Trojans have some depth (though some of it is young) but USC wins. ... Outside the top 25 there are plenty of games that may feature upset alerts -- and I'll go with Georgia Southern at NC State. It's not Georgia Southern's first rodeo (hello, Florida?) and stranger things have happened. ... And don't sleep on Utah State at Tennessee; that's not a gimme by any stretch of the imagination. Rocky flop, anyone? 3. How much of an impact -- if any -- will this weekend's results have on the playoff's selection committee's perception of each conference? Duane Cross: Less Than Zero. (That's an 80s movie for you born-in-the-90s kiddies. Google it; Jami Gertz.) ... What happens in late August won't be a huge hurdle to overcome during the ensuing three-plus months. Stephen Sellner: I'll disagree. I think it's a big weekend. Obviously, there's no precedent on how the selection committee will handle choosing the best four teams for the playoff, but conferences like the Big 12, Pac-12 and Big Ten need to exploit every opportunity it can to show they deserve a spot in the playoff and not be the odd-one-out. Odds are, Florida State and the SEC champion are going to be represented in the playoff, which leaves two spots open. That means Wisconsin has a big opportunity to give the Big Ten some respect if it can top LSU. Going further, Rutgers-Washington State and even Northwestern-Cal stacks the Big Ten against the Pac-12, and while those teams might not be competing for conference titles, it can help the perception of the conference. Gerard Gilberto: There are some great non-conference matchups this week but the only way they will actually matter to the CFP selection committee is if Georgia, Florida State or Ohio State loses. Duane Cross: Last I checked -- and this could have changed -- but the selection committee isn't picking a conference to play in these bowl games / playoff games. So the "perception" of a conference is moot. The team has to win. Stephen Sellner: Sure, but let's not pretend that a conference's reputation doesn't help when deciding if its conference champion should be in the college playoff. Gerard Gilberto: Granted, non-conference games can give the CFP selection committee a chance to figure out who the best teams in the nation are, in the future. It should show who actually deserves to be considered one of the nation's elite rather than who can only be successful in their own conference. 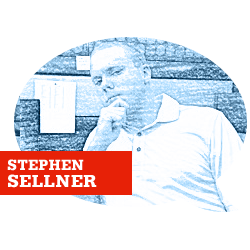 Stephen Sellner: I mean, let's look at the SEC. We don't even know what team is going to win, but I think we can agree that no matter what the team that comes out on top will be in the playoff. Gerard Gilberto: Are you saying that the SEC can't put two teams in the playoff? Stephen Sellner: I think they can. Duane Cross: Let's be honest, if the SEC, Pac-12, ACC and Big Ten conference champs are undefeated -- maybe even one-loss -- they will be in the CFP. ... I don't think the SEC -- or any conference -- will have two teams in the CFP. The numbers just don't add up. Stephen Sellner: What about if Oklahoma is the real deal out of the Big 12? I think perception is a big deal to things like strength of schedule, which will be factored into the committee's decision. After all, we have the human element now. Oklahoma is the early favorite in the Big 12. Duane Cross: OK, so OU is there -- just means another team from another conference isn't. Again, too many variables for one conference to get two teams into the mix -- especially with conference championship games. Gerard Gilberto: But this plays on the importance of non-conference games -- in the future, beyond this weekend -- they strengthen the schedules of teams to separate the elite from the ones who just beat up on the cupcakes in their conference. Duane Cross: And the strength of schedule would be the epitome of what the human element should not base its decision on -- or give too much credit to. A factor, yes -- but SOS doesn't take into account injuries, suspensions, etc. Never mind that SOS doesn't take into account how a team improves during the course of a season -- or falls apart. The SOS argument has always been weak. Stephen Sellner: I agree, Gerard. And Duane, all we're saying is SOS is a factor when it comes time to decide what four teams are in and what teams are out. And if a conference like the Big Ten can come out on top this weekend, it might give it some momentum and the committee might buy into a one-loss winner like Michigan State over a one-loss winner like Oregon or UCLA. Non-conference games, like Gerard said, give these conferences an opportunity to show they're superior to the other ones and shouldn't be left on the outside looking in if their champion is worthy playing in the playoff. 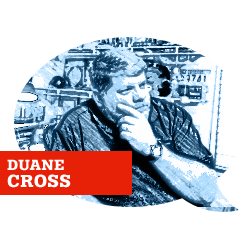 Duane Cross: Not gonna happen, hoss. This weekend will be a forgotten moment in time when December rolls around. Stephen Sellner: Not as important -- I'll give you that, but forgotten? I think records will prove otherwise. One loss can make all the difference. There are five “power” conferences. There's only four spots. Tell me, Duane, how this weekend isn't a big deal to a potential conference champion if they win but don't get the nod because a team from another conference with a similar resume gets the nod. Gerard Gilberto: There need to be more of the matchups that people actually want to watch -- if they're playing exciting non-conference games. Teams like FSU should get The Citadel off the schedule and play out-of-conference opponents that will actually show me something. SOS is all well and good, but what the right non-conference games can do is actually pit two of these top-five teams against each other early in the season. I'm not talking about making Alabama’s schedule look more difficult than Florida State's in August. I'm talking about having them actually go head-to-head, which for some reason, these "elite" teams seem scared to do. Duane Cross: Gerard, now you're on to a true SOS. We'll see if it gets any traction in the years to come -- but there will always be FBS vs. FCS matchups; both sides of the equation needs the other. Because it comes down to this, Stephen -- there's always going to be one weak link in the Power Five. History tells us that: Those who cannot remember the past are condemned to repeat it, so said George Santayana.